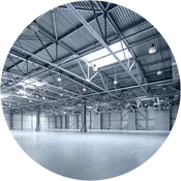 Are you looking for insulation contractors in the La Grange Park, Illinois area? ThermaSeal / Lakeside Insulation can help! For over 10 years, we’ve been insulating homes and commercial buildings in La Grange Park, helping home and business owners save on their energy bills. As we mentioned, insulating your home is one of the best ways to ensure its energy efficiency isn’t compromised – and it more than pays for itself. We see some pretty brutal winters and sweltering summers here in La Grange Park – but sufficient home insulation will keep your home nice and comfy. From lower energy bills to potential increased resale value and improved AC and furnace efficiency, a well insulated home offers many benefits! If you’re a business owner who wants to lower your overheads, we can help! 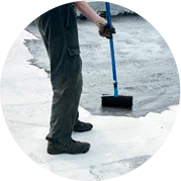 ThermaSeal / Lakeside Insulation has been insulating office and commercial buildings in the La Grange Park, Illinois area and has the expertise and experience to recommend the right material and install it correctly so you can start saving. Learn more about our attic insulation in La Grange Park. Wall insulation provides not only decreased heating and cooling costs and a more comfortable home, but also superior soundproofing. If you’ve ever been in a home that doesn’t have wall insulation, you may have noticed how loud traffic and other outside noises seem! Learn more about our wall insulation in La Grange Park. The lowest level of your home offers a lot of potential for energy savings – but not if it isn’t well insulated! Even if your basement is unfinished and you don’t go down there a lot, don’t overlook it when it comes time to re-insulate. Basement insulation can actually save you up to $250 a year! Learn more about our basement insulation in La Grange Park. Learn more about our crawl space insulation in La Grange Park. Fiberglass is one of the most popular and cost-effective types of insulation material; it is also one of the most effective products at stopping heat transfer and can be installed anywhere in your home, from basement ceilings to walls and around ductwork. No matter what insulation needs you have, our insulation contractors can handle them in a professional, timely and safe manner. We’ll install your insulation right the first time to make sure your energy savings are maximized! Contact us today for an estimate!